Little GoGo is designed to create augmented objects utilizing QR Codes. Using this application could help parking lot owners by tracking spaces available without the need of using sensors. We use augmented reality and QR codes painted on the ground or printed to detect those spaces regardless if the camera was moved. QR Codes must be the ones designed to use for this app. This app works best using a topdown view. Enter Text to share as "1". -If the QR is obstructed, the augmented object will disappear and will deduct the "Space Available". -If a new QR code is dectected on the grown then an new space will be created. -If the new QR code is removed from the background, the space will no longer show as part of the Space Available count. The system can only create green cubes for each QR Code at the same time. You can create up to 50 objects at the same time if they are within viewing range. The fileLog.txt is a file that the system generated when the app is active. It only pulls data from the "Space Available" field and stores it on the log file. This file will be located within the location of your app. For example > MyFiles/Storage/Android/Data/com."App.Name"/filesLog.txt. File log is an txt file which could be opened by other text softwares. This file can be used for external system integrations for monitoring data. How to use Little GoGo on a Windows PC. Little GoGo's was mainly designed to be used on any Android device however, there are currently some limitations that will prevent an Android user from performing some functions such as the need of using an external camera device other than the Android Integrated camera. In order to use an external camera device to be accessed, Little GoGo it will need to be installed on a Windows's Android Emulator such as "BlueStacks"
How can I extract the logfile from blue stacks to windows? This is one of the questions I was asked an while ago during the development process of this application. There are various methods out there to tranfer or load a file from one location to another. For this case I will describe how to install AirDroid on BlueStacks and on your Local Windows PC. As mentioned before, BlueStacks allows the external camera functionality to work within Windows. The Log file is being created within BlueStacks at; “/sdcard/Android/data/com.Guatecate.LittleGoGo/fileLogo.txt” and can be viewed in Windows using AirDriod or any other form of File Data Connection. To access this file from your Windows PC you will need to install AirDroid. To find out more please go to https://help.airdroid.com/hc/en-us/articles/360005038914. This is another tutorial that describes how you could use other integrations to monitor data in MS Excel. In this case we used the links provided by AirDroid to locate the files and integrate them into Microsoft Excel. Excel will read this files and refresh it at a minimum of 1 minute status refresh interval to display it. You can cutomize your own Exce filel with your own design or use the template provided below. Using this template the links will appear broken since it would require each data field to be replaced with the newer links from your own autheticated session of AirDroid. If by any chance AirDroid is closed, the links will automatically loose connection and they will require again to be linked with newer ones. If you you are traking a parking lot with more than 10 spaces or plan to use this app to track other objects, it will be a great pain to modify all of these links if they loose connection. This is just an example and we wont support it. As mentioned before, if you know of any other better methods feel free to use them. 1- How can Little GoGo detect available spaces? Little GoGo was designed to use QR Code from "https://www.the-qrcode-generator.com" Essentially the Augmented reality interface will look for any Static QR code placed on any surface. The system has a limitation of 50 objects that can be tracked at the same time. 2- Can I generate my own QR Code? Yes however, Little GoGo can only track QR codes that includes text declared as numbers from 1 to 50. Number "1" is one QR code and Number "2" is another QR code and so on. Any other QR Code that is not identified as a number within the range of 1 to 50 will not be trackable. 3- Where is the log file stored? The log file is stored within the location path of your app. File is name is called "filesLog.txt and lotslog.txt". 4- Can I integrate Little GoGo to any external system? 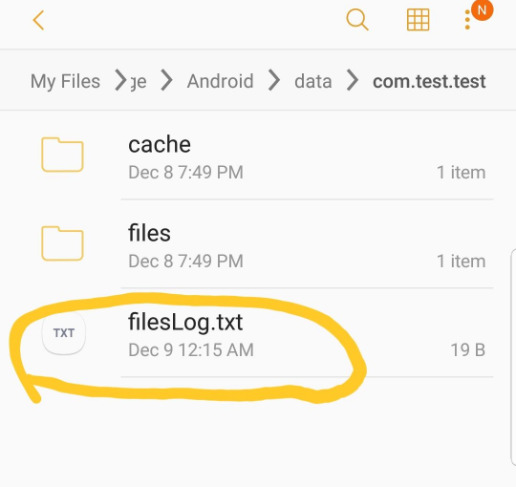 We don't support this type of set up however, you could find the "filesLog.txt" file within your device and you can stream the log file information using any type of external system integration as long as you specify the path to be pointed to the "fileLog.Txt". 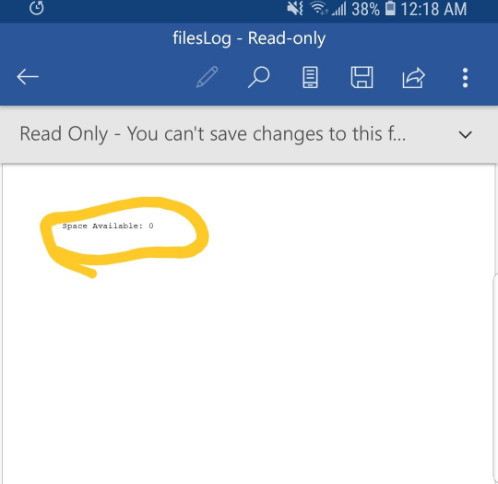 This file contains the "Space Available" information live as long as your app is active. 5- What is the intended functionality of this application? Little GoGo was designed to use QR Code from "https://www.the-qrcode-generator.com" The intended functionality is to track any object using QR codes created using numbers from 1 to 50. Once the QR Code has been created, the camera system will create an augmented object on top of the QR Code. If the QR code becomes obstructed by another object, the Augmented object will disappear and will cause the Space Available to be deducted. Is it mandatory to have a log file? The log file is created to track the space available on any external system or software integration if needed however, this is not mandatory. Can I install this app on Windows?